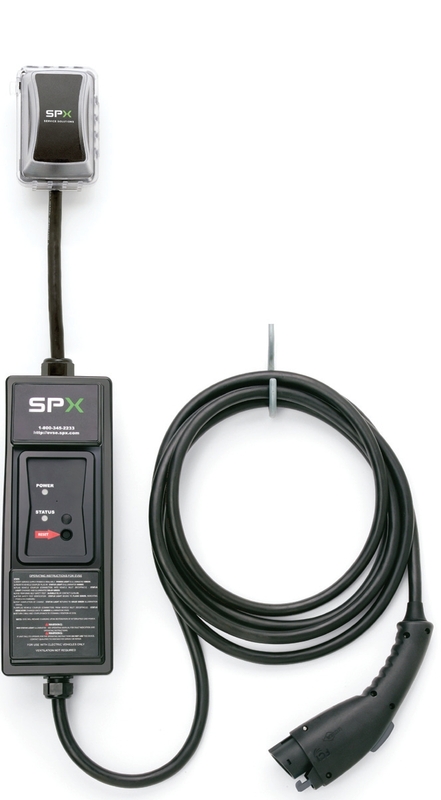 If you've got a Chevy Volt, consider the SPX/Voltec unit. The Voltec unit is currently the cheapest on the list ($490) and the only one with a flashlight in the handle. You can currently only buy one if you have a GM car (they'll want a VIN number when you order). 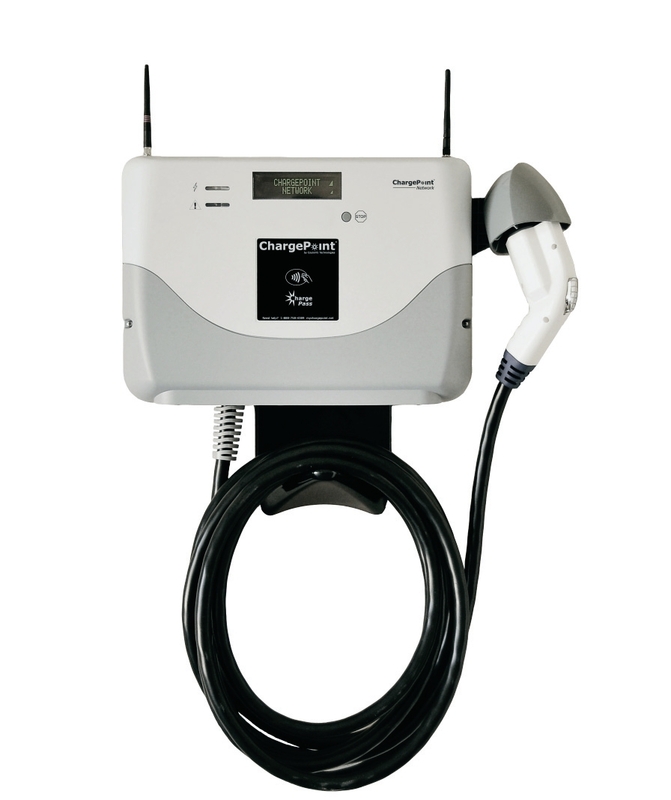 With the exception of the Schneider EV2430WS, these EV Chargers can be mounted outdoors. Install one of the Level 2 EV Chargers that "plug in" to the wall (like an existing dryer outlet - see list below). When you need to take it with you, "uninstall it" off the wall and go...you just need to make sure there's an available plug waiting for you (like at your Aunt's house or RV park). These units that "plug in" are typically more expensive to purchase and install, since the plugs and receptacles cost more money than wire. 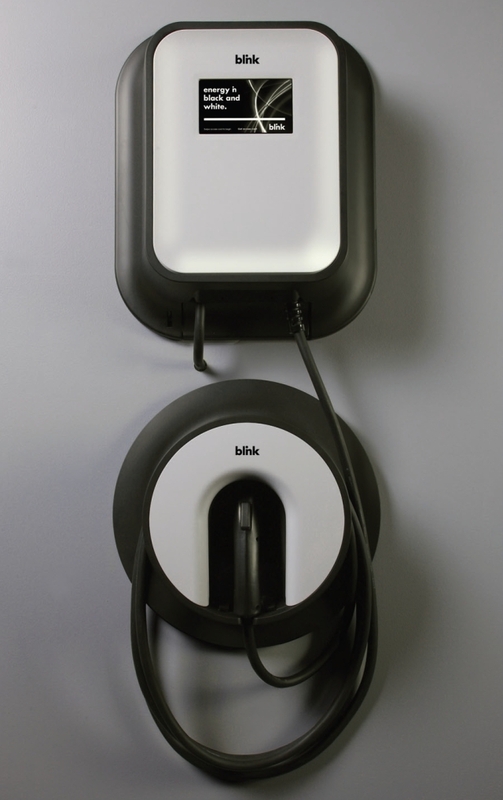 That said, if you already have a receptacle installed, then installing a "plug in" EV Charger is a great idea. 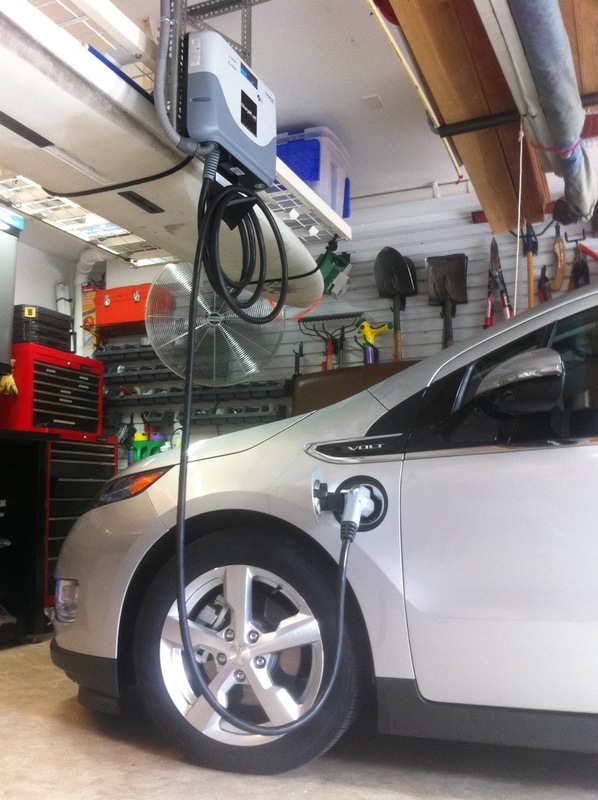 Install a Networked EV Charger like the AeroVironment RS+, Blink, Coulomb CT-500, or EVSE LLC reEVSE. These units connect to the Internet via a cable or wireless. The Networked versions typically allow you to view the power supplied to your car...and they have other features as well. You'll pay more for this capability. 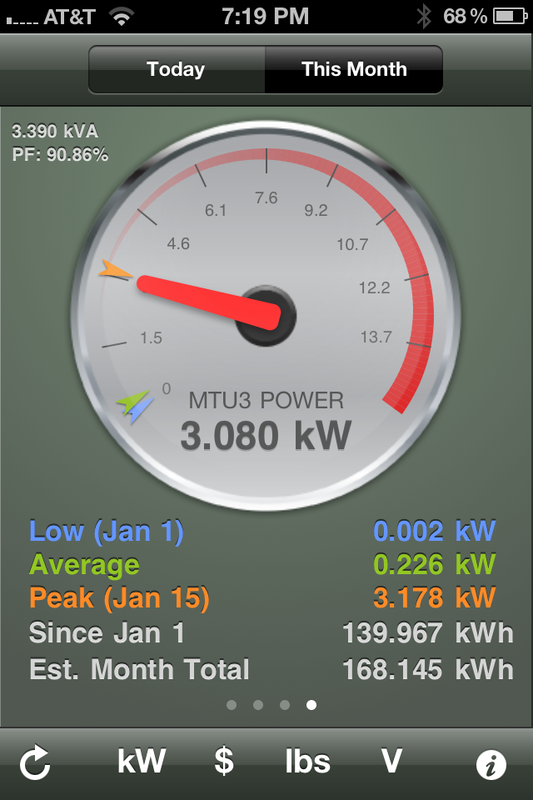 Install a non-networked EV Charger AND an energy monitoring device like a TED or Powerhouse Dynamics so you can monitor your EV's power consumption along with other important loads in your home. 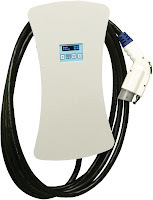 Choose a lower power (less than 20 Amps) EV Charger like the Voltec, Clipper Creek, DBT, or Leviton models. If you have a first generation Nissan Leaf or Chevy Volt, this is all the power (3.3kW) they can drink. 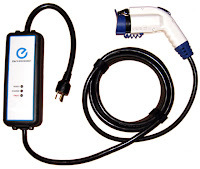 Control Module Industries has a "Power Share" version of their reEVSE that can sense when other large loads are being used in your home (like your water heater) and pause the EV Charging process until the load is off. Some permitting authorities require that a load calculation be done on the home before a EVSE Permit is allowed. If there's not enough spare capacity in the panel, then you typically have to upgrade the service which can be costly. If a service upgrade is too expensive, then a lower power EV charger or the the Power Share reEVSE might be a good alternative. Buy the device directly from the manufacturer. Leviton and SPX sell them on their website (click on the Name of the Manufacturer below). You'll pay full retail. Buy the device from through a online reseller like Amazon or a big box store like Home Depot or Best Buy. You can buy many brands of residential EVSE's in just two clicks. Buy it through your electrician...and have it installed. Your local electrician can order one of these devices and install it for you. 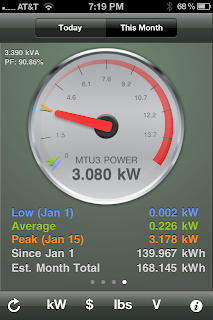 If you would like to read some user comments on these Residential EVSE's, you can find some great info at www.mynissanleaf.com or www.gm-volt.com. Hi Greg...I updated this article to answer your questions...thanks for the idea. The Legrand level 2 charger can be ordered online from Lowes. Sorry. Should have said Home Depot. 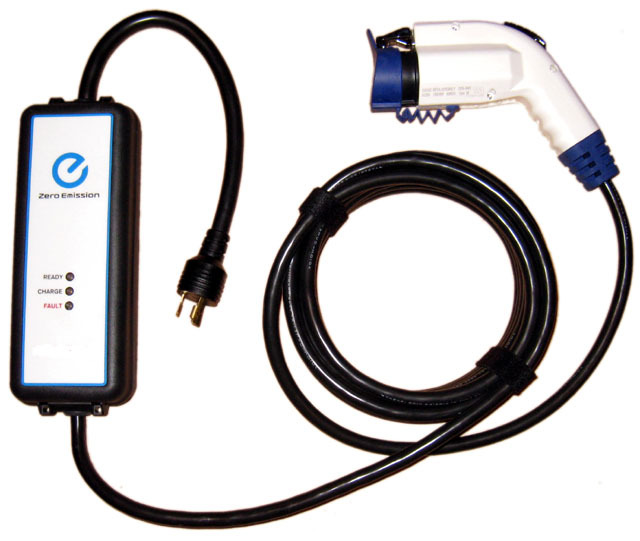 I have used the Legrand L2EVSE16 for almost four months now to charge my Nissan Leaf. It is a very simple device to install and use. It works fine. 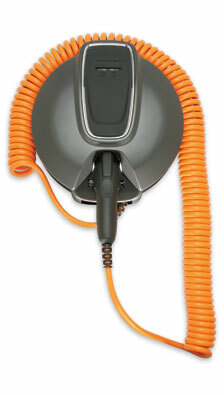 The cheapest charge cord if you have a Leaf is to get the one that comes with the Leaf upgraded by EVSEupgrade. They charge $239 for the 12a model and $287 for the 16a model which is 3.8kW when used on a 240v outlet. It will still work on 120v outlets also. They sell new ones as well if you don't have an existing one. Very well-made and compact unit! 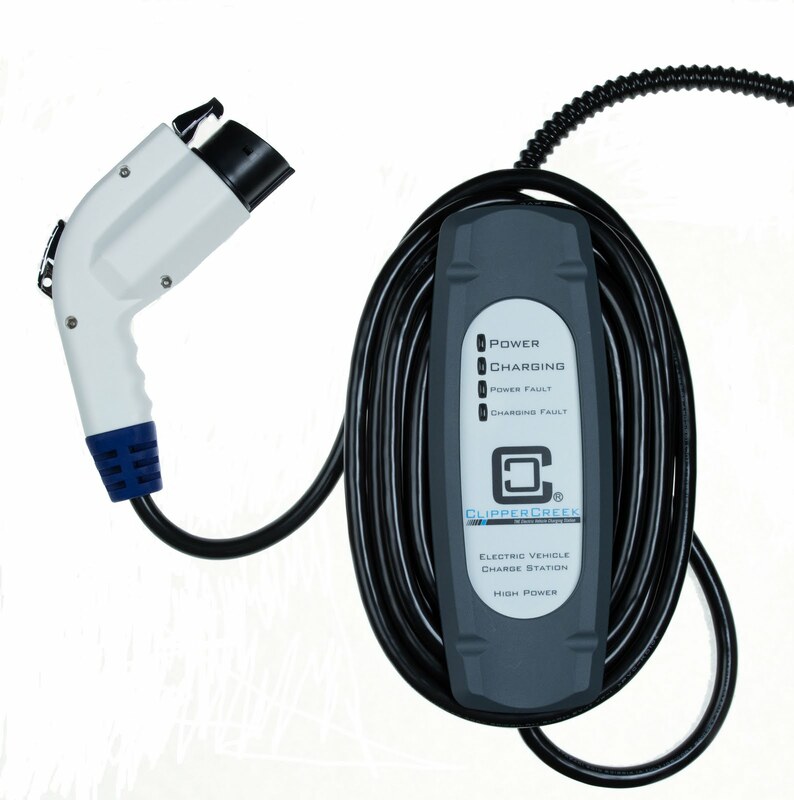 Nissan has raised the price of their charge cord to over 800 now, because of EVSE upgrade. You can send the one in that came with your car but to buy another it's cost prohibitive now. Much better to go to OpenEVSE web site and get the parts and build your own. It's universal, does 120 or 240, portable and you can build one for less that 500. Best deal on the net right now. 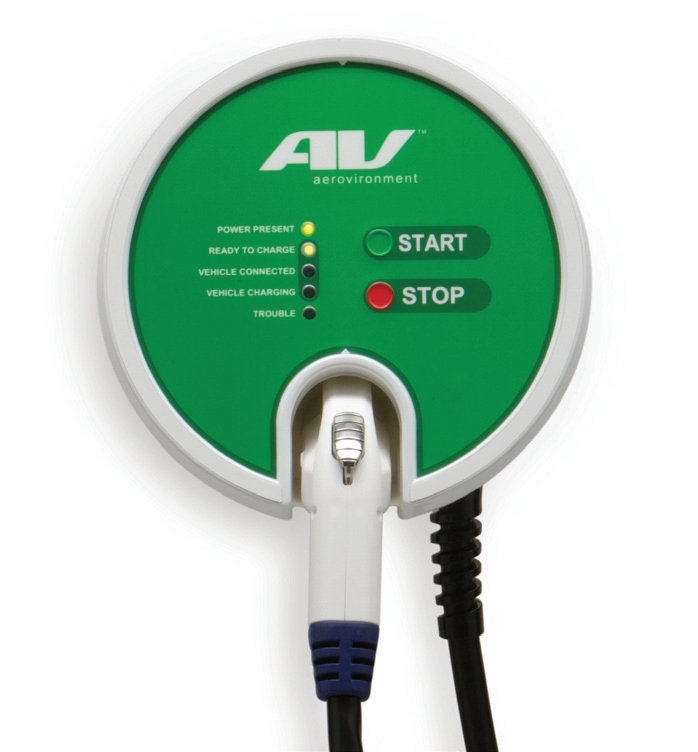 Great resource, this is the second or third time I've come here to compare charger specs. Thanks! How about updating the unit/company information? Model, price and where to buy is what is needed. At least one of the links is dead and others are outdated or now link to Irrelevant content.